Lent requires discipline. And part of the “discipline of Lent” is sacrifice. But what is the point of it? Are we merely called to self-discipline as a means of self-improvement? Or is it only a matter of suffering through some difficult sacrifice? Giving something up for Lent is only one part of a larger call to engage our faith more fully and more devoutly during the 40 days of Lent: that call is a call to prayer, fasting, and almsgiving. Or, to put it another way, to lift up, to give up, and to take up. The Gospel reading proclaimed on Ash Wednesday (Mt 6:18, 16-18), the start of Lent, lays out the threefold practice of prayer, fasting, and almsgiving, but it does so with a clear admonition regarding what ought to motivate such practices: “Take care not to perform righteous deeds in order that people may see them” (Mt 6:1). On Ash Wednesday, when Catholics readily identify themselves in public with the sign of the cross marked in ashes on their foreheads, Jesus’ challenge is filled with irony. He challenges his listeners—and the faithful today embarking on their Lenten journey—to reflect not only on what they do, but also on why they do it. If the only purpose of sacrifice—of giving up something—is to be able to say that one is in fact doing something for Lent, or if that sacrifice is merely about self-improvement, then we’ve missed the point. If it is only a matter of bragging rights, as if to say, “Look at this difficult sacrifice I am offering,” then one is guilty of the very hypocrisy that Jesus condemned. This is why the tradition of our Lenten practice of sacrifice is really part of a three-pronged approach to this time of spiritual renewal and rebirth. It is only when all three are part of the formula that the real renewal and conversion intended in Lent can happen. The Gospel of the first Sunday of Lent each year (Mt 4:4-11, Mk 1:12-15, or Lk 4:1-13) presents us with an intimate look at the heart and mind of Jesus. He is alone in the desert—we are told he fasts and is tempted by Satan. There are no eyewitnesses to these events; we take them as revealed to the Gospel writer, truly inspired by the Holy Spirit. Jesus teaches us about living a life of holiness, which includes sacrifice, and sacrifice means resisting temptations. In prayer, we lift up our hearts to the Lord. We express our praise and gratitude, we present our needs, and we open our hearts, surrendering to God’s will and power to save. 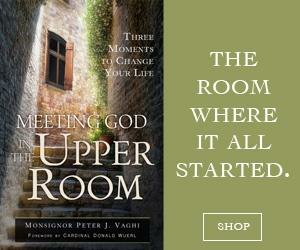 This is particularly important in Lent, as we strive to set right our relationship with God. Prayer helps us do that by keeping open communication with God—we talk to God and we await and listen to God’s response. As we present our needs, we recognize our dependence on God and grow in our trust in his promise to provide for what we really need. Prayer keeps our sight focused on God, so that the more prayerful one’s life is, the more one is aware of God’s call, his plan, and his promise. A life rooted in prayer is a life lived in the context of God’s grace. In this regard, prayer sets the stage for what must follow it, so that our actions flow from and reflect what is experienced in prayer. In other words, our relationship with God is rooted in prayer, but expressed and manifested in actions. In Lent, this is made particularly clear in the various forms of Lenten discipline. The Letter of James expresses a similar sentiment: “What good is it, my brothers, if someone says he has faith but does not have works? Can that faith save him?” (Jas 2:14). In the same way, prayer without works could amount to the hypocrisy that Jesus chastised in his preaching. During Lent, there are many ways to take up the challenge of prayer. Many people commit to attending Mass more frequently (perhaps attending daily Mass), and parishes often have additional opportunities for prayer during Lent, such as prayer groups, the Liturgy of the Hours, and devotional practices such as the Stations of the Cross and eucharistic exposition and adoration. In fasting, we give up what we don’t really need in the first place. In the Christian tradition, fasting is seen as a means of preparation, of waiting, and of penance. Voluntary acts of self-denial are a means of demonstrating devotion, but they also prepare us for what is to come. We fast for one hour before receiving holy Communion at Mass in order to prepare our hearts, to focus our attention, and literally to awaken our hunger for the Lord, the bread of life. Church law dictates two particular days of fasting as a means of penance: Ash Wednesday and Good Friday. In addition, the custom of the Paschal fast as an extension of the Good Friday fast through Holy Saturday until the Easter Vigil is a means of preparation and anticipation of the celebration of the Lord’s resurrection at Easter. A second form of fasting is known as abstinence, in which we deny ourselves some particular thing, as a way of practicing self-discipline. Church law asks the faithful to abstain from eating meat on Ash Wednesday, Good Friday, and the Fridays of Lent, and the custom of giving something up for Lent is a way for each individual to choose some particular form of abstinence as a means of self-discipline. Some might choose to abstain from a particular delicacy or favorite food, while others might choose something less tangible, but just as helpful: giving up or cutting back on watching television, playing video games, or time spent on social media. Sometimes it seems as if the most difficult part of Lenten discipline is fasting, and if the giving up isn’t replaced by something more fruitful, then it might be just a hardship for the sake of the hardship, or it might be replaced by something equally meaningless. For example, if I give up chocolate, only to replace it by eating ice cream, then there is no real benefit. Or, if I give up or cut back on watching television, but that is merely replaced by video games or time spent online, then to what end am I really giving something up? It is almsgiving—taking up—that makes the giving up work. Almsgiving is understood as giving money or good, to aid the poor (see Catechism of the Catholic Church #2447, 2462), but in a broader context almsgiving can also be understood to include other kinds of charitable acts of service. We take up works of charity (almsgiving) in order to walk more clearly the path of service and love the Lord calls us to walk. In this regard, we remove the excess by giving up in order to engage more freely in what we are really called to do. Clearly, then, our sacrifices make room for being charitable. So perhaps someone might give up the daily stop at a local coffee bar and contribute what is saved to charity, or one could cut back on watching TV or social media in order to make time to be present to someone in need, to perform some charitable deed, or when that is not possible, to dedicate some time to study, reflection, or prayer, especially prayer for others’ needs. The ultimate goal of the discipline of Lent is not only to do penance (see CCC #1434) but to do so as a means toward a life of virtue. “Whatever is true, whatever is honorable, whatever is just, whatever is pure, whatever is lovely, whatever is gracious, if there is any excellence and if there is anything worthy of praise, think about these things” (Phil 4:8). Prayer, fasting, and almsgiving together orient and focus one’s attention toward virtue. The cardinal virtues—prudence, justice, fortitude, and temperance—are foundational for the virtuous life, and these things lead us beyond ourselves and the “things of this passing world” to the values and cares of the kingdom of heaven and “the things that eternally endure” (Preface of Lent II). These virtues align themselves with the disciplines of Lent: prudence and fortitude flow from prayer, justice is manifest in our almsgiving, and temperance is demonstrated in fasting. 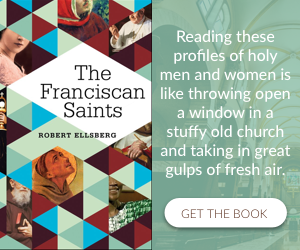 The threefold disciplines of Lent help to foster and strengthen these virtues in the lives of the faithful. The purpose of Lent is not merely to engage in these practices for the sake of themselves. 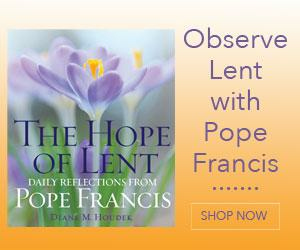 Lent is about fostering ongoing conversion and renewal of our life in Christ. It is a means of preparation for the celebration of Easter, and it is a means of preparing for the Paschal feast of heaven. The journey of Lent provides an opportunity to walk more closely with Jesus, who desires our presence, sometimes more than we desire his. In our lifting up, giving up, and taking up, may we be vigilant in our sacrifices and strong in resisting temptation, and so get all the more “caught up” in the love of God through his Son’s cross and resurrection. Msgr. Richard Hilgartner is the executive director of divine worship for the United States Conference of Catholic Bishops.